GopherCentral Library: Phunny Pictures - It's got bark and I've got bite. Phunny Pictures - It's got bark and I've got bite. The weather warmed up so I took the ol' truk to the car wash...Oooh oooh oooh! And, as usual, I fell asleep. It always happens with fallin water. Get this, whenever it rains, the sprinkler is a runnin, and i head over to the car wash - fallin water makes me sleepy. Plus, i can't wash clothes, go to water parks, take a bath or shower, flush the toilet, or play water balloon toss. Well, actually I do flush the toilet, but I have to wear a football helmet so when i flush I dont hit my fourhead on the sink. A tornado is coming! Grab on to something! 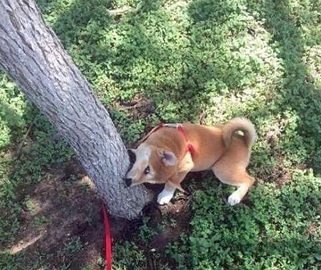 I'm attacking this tree because it's barking at me! 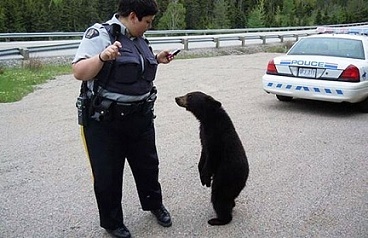 Guess we shouldn't have named him Beaver. It's got bark and I've got bite. The vet said that I needed more fiber in my diet. Let's see him throw THIS stick and expect me to fetch it! First I bite it. Then I lift my leg on it. He was barking at me so I bit him!